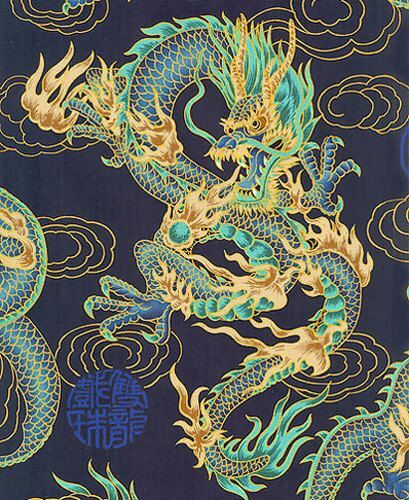 The word above rendered “dragon” is from the Greek word drakon, said to probably be from the Greek word derkomai, meaning to see or look, in the sense of becoming fascinated. The word (drakon) only appears in book of Revelation (thirteen times), all as John reveals to us that the dragon is the serpent, who is called the Devil and Satan (from the Hebrew word satan, telling us he is opposing and resisting the word and work of the LORD God Almighty). Drakon appears to more likely be derived from the Hebrew word dakar, meaning to walk, an origin by which we understand the dragon as a serpent rising up and walking like a man (and men are fascinated by it). We are told in Revelation 13 that a beast (Babylon – confusion) rises up from among the people (the sea), which has seven heads (ruling over all the church: God’s people) and ten horns (all civil governments of the world), and the dragon gave him his power (to ill advise and mislead into hell). Just before this he is described as like a leopard (camouflage to lurk and sneak up on prey), and having feet like a bear (to trample down, tear apart, and destroy), and a mouth like a lion (a mouth devouring the prey – by words). Friends, earlier in Revelation 12 we are told this is the same dragon who led a third of God’s people in their fall from heaven, meaning from their fixed positions, steadfast by their understanding, into no longer depending on and trusting God’s sound advice, and thereby into confusion. These are the firsts, the leaders who joined in an open rebellion against God and opposing His truth; instead, they relied on, and teach others to rely on, their false doctrines and follow them into hell. Later, in Revelation 16, John describes the coming of understanding, as first the waters of the river Euphrates are dried up, which represent the means through which have flowed the waters of confusion (bad advice, and death lurking below the surface unseen) to all the world, that by this the way of the kings of the east might be prepared – understood. We know these kings are the Magi, the Chaldeans: wise men who degenerated into using their words to manipulate and control people, and now, by this means, rule over all the world. John then tells us of the unfolding picture (uncovering – revealing) as these men are first seen as serpents (the dragons), then as the beast (confusion – Babylon), and are those who, ultimately, are clearly understood as false prophets. 13 And I saw three unclean spirits like frogs come out of the mouth [as words opposing God and leading the rebellion against Him] of the dragon, and out of the mouth [as words of confusion] of the beast, and out of the mouth [telling of what never will never come] of the false prophet. 14 For they are the spirits of devils [FOR THEY ARE SPIRITS in men, in kings – misleaders leading into hell], working miracles, which go forth unto the kings of the earth and of the whole world, to gather them to the battle of that great day of God Almighty. 16 And he gathered them together into a place called in the Hebrew tongue Armageddon [the mount of this rendezvous – appointed time and place of God’s Righteous Judgment on the earth]. When we remove the words, the misleading bad advice, that has clouded the minds of all God’s people, leading a third to actively oppose and resist God, and then put the others into a state of sleep and death, we then in spirit and truth clearly see, understand, this is the culmination of the fall that started in the garden, by listening to those then only seen as a serpent. John tell us these are spirits of devils, demons drawing and leading men into hell, the result of the words coming from their mouths, now becoming seen as defiling spirits (degenerate minds denying reality/truth and creating confusion), seen as frog are seen when the waters of the muddied rivers are stopped/dried up. Friends, it is the nature of man to not understand the magnitude of the moment they are living in and through, which in most cases hasn’t and can’t be comprehended until the fullness appears later in the effect. I tell you now we are living through these days. Now is when evil has taken full control of all the world’s information, denying absolute realities, even the distinction that men are men and women are women, and denying human conception creates a human. The only ways these demons confuse the world is by hate-filled demonization and ridicule, creating prejudice against all who refuse to agree and join. They silence truth and disregard any reality that contradicts their delusions and their effect of the society at large. They have become so blinded by the darkness, into which their own progressive extremism has led them, that within it they feel their evil and hate have won. In this self-confirming echo chamber, they now openly and pridefully flaunt their primitive (tribal) hatred and their ignorant ideas, feeling none will dare stand against their power to destroy men’s lives. It is the culmination, the end, when death is so swelled with pride, as the swelling of Jordan, and people act as if there is nothing wrong or abnormal about killing and consuming their infant children. LORD, I pray that You open the eyes of Your people, so they will understand. 17 And Elisha [Salvation of God] prayed, and said, LORD, I pray you, open his eyes, that he may see. And the LORD opened the eyes of the young man; and he saw: and, behold, the mountain was full of horses and chariots of fire round about Elisha. 18 And when they came down to him, Elisha prayed unto the LORD, and said, Smite this people, I pray you, with blindness. And he smote them with blindness according to the word of Elisha. 19 And Elisha said unto them, This is not the way, neither is this the city: follow me, and I will bring you to the man whom you seek. But he led them to Samaria [the place where the people had set up idols in God’s place, among those whose eyes need to be opened]. 22 And he [Elisha – Salvation of God] answered, You shall not smite them: would you smite those whom you have taken captive with your sword and with your bow? set bread and water before them, that they may eat and drink, and go to their master. 23 And he prepared great provision for them: and when they had eaten and drunk, he sent them away, and they went to their master. So the bands of Syria [those who have exalted themselves above God] came no more into the land of Israel. 24 And it came to pass after this, that Benhadad [son of the false gods, idols/ideas, that ruled over them] king of Syria gathered all his host, and went up, and besieged Samaria. 27 And he said, If the LORD do not help you, whence shall I help you? out of the barn-floor, or out of the winepress? 28 And the king said unto her, What ails you? And she answered, [she didn’t want food, rather she wanted help to find and eat another women’s child, because they had already eaten hers] This woman [who is a pattern of an abortionist] said unto me, Give your son, that we may eat him to day, and we will eat my son to morrow. 31 Then he said, God do so and more also to me, if the head of Elisha the son of Shaphat [the son of Him whose Righteous Judgment has come upon us] shall stand on him this day. 32 But Elisha sat in his house, and the elders sat with him; and the king sent a man from before him: but ere the messenger came to him, he said to the elders, See you how this son of a murderer has sent to take away mine head? look, when the messenger comes, shut the door, and hold him fast at the door: is not the sound of his master’s feet behind him? 1 Then Elisha said, Hear you the word of the LORD; Thus says the LORD, To morrow about this time shall a measure of fine flour be sold for a shekel, and two measures of barley for a shekel, in the gate of Samaria. 2 Then a lord on whose hand [the false prophets in whose advice they trusted] the king leaned answered the man of God, and said, Behold, if the LORD would make windows in heaven, might this thing be? And he said, Behold, you shall see it with your eyes, but shall not eat thereof. 7 Wherefore they arose and fled in the twilight, and left their tents, and their horses, and their donkeys, even the camp as it was, and fled for their life. 10 So they came and called unto the porter of the city: and they told them, saying, We came to the camp of the Syrians, and, behold, there was no man there, neither voice of man, but horses tied, and donkeys tied, and the tents as they were. 17 And the king appointed the lord [the false prophets] on whose hand he leaned to have the charge of the gate: and the people trampled upon him in the gate, and he died, as the man of God had said, who spoke when the king came down to him. 19 And that LORD answered the man of God, and said, Now, behold, if the LORD should make windows in heaven, might such a thing be? And he said, Behold, you shall see it with your eyes, but shall not eat thereof. 20 And so it fell out unto him: for the people trampled upon him in the gate, and he died. 9 For if the ministration of condemnation be glory [showed God’s presence], much more does the ministration of righteousness exceeds in glory. 16 Nevertheless when it shall turn to the LORD [when the understanding comes, that God is in man, as Christ, in this way reconciling the world to Himself by preaching this word of truth and teaching that leads into understanding – the light], the vail shall be taken away. 18 But we all, with open face beholding as in a glass the glory of the LORD, are changed into the same image [Christ formed in us] from [His presence seen and heard] glory to [receiving it and the same] glory [is formed in us], even as by the Spirit of the LORD. 1 Give the king your judgments, O God, and your righteousness unto the king’s son. 2 He shall judge your people with righteousness, and your poor with judgment. 12 For he shall deliver the needy when he cries; the poor also, and him that has no helper. Previous PostPrevious Therefore rejoice, ye heavens, and ye that dwell in them. Woe to the inhabitants of the earth and of the sea! for the devil is come down unto you, having great wrath, because he knows that he hath but a short time.